The objective of the photometric calibration process is to tie the SDSS imaging data to an AB magnitude system, and specifically to the "natural system" of the 2.5m telescope defined by the photon-weighted effective wavelengths of each combination of SDSS filter, CCD response, telescope transmission, and atmospheric transmission at a reference airmass of 1.3 as measured at APO. 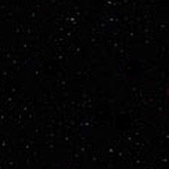 Note that this photometric uniformity is measured based upon relatively bright stars which are no redder than M0; hence, these measures do not include effects of the u band red leak (see caveats below) or the model magnitude bug . All calibrated magnitudes in the photometric catalogs are given not as conventional Pogson astronomical magnitudes, but as asinh magnitudes . We show how to obtain both kinds of magnitudes from observed count rates and vice versa. See further down for conversion of SDSS magnitudes to physical fluxes. For both kinds of magnitudes, there are two ways to obtain the zeropoint information for the conversion. divide by the zero-point count rate, which is given by f0 = 10-0.4*aa both for asinh and conventional magnitudes. mag = -(2.5/ln10)*[asinh((f/f0)/2b)+ln(b)], where b is the softening parameter for the photometric band in question and is given in the table of b coefficients below. The equations above are exact for DR1. Strictly speaking, for EDR photometry, the corrected counts should include a color term cc*(color-color0)*(X-X0) (cf. equation 15 in section 4.5 in the EDR paper), but it turns out that generally, cc*(color-color0)*(X-X0) < 0.01 mag and the color term can be neglected. Hence the calibration looks identical for EDR and DR1. where counts is the number of object counts, sky is the number of sky counts summed over the same area as the object counts, Npix is the area covered by the object in pixels, and gain and dark_variance are the numbers from the corresponding tsField files. Then you need to apply the correction for the zeropoint offset between the SDSS system and the AB system. We do not know this correction yet, so the fluxes you obtain by assuming that SDSS = AB may be affected by a systematic shift of probably at most 10%.